It’s the most wonderful time of the year…for my 12-year-old son, that is. He is finally getting his first cell phone, after much preparation and discussion and reluctance (on my part). My husband and I have spent so much time talking about how different things are since we were in middle school, and we’re feeling constantly challenged by how quickly technology and kids’ use is moving. We do our best to keep up. 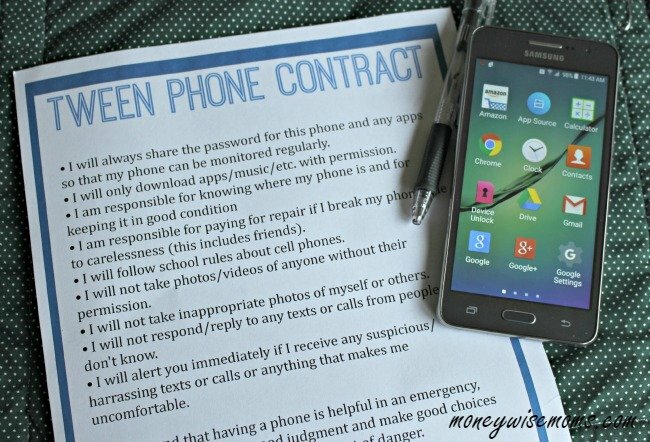 We’ve worked hard to provide a structure for this rite-of-passage with this Tween Phone Contract, which my son helped write. If your child is still too young for a phone, you can prep for the years ahead by talking about how to be safe online, like not sharing personal information or using their real name for usernames and passwords. 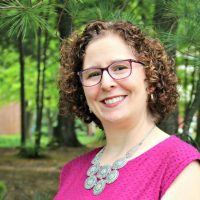 We’ve talked about (and continue to with our 9-year-old twins) how to use computers appropriately and why they are not allowed to download anything without permission. We also chat about phone etiquette and practice it in front of them. 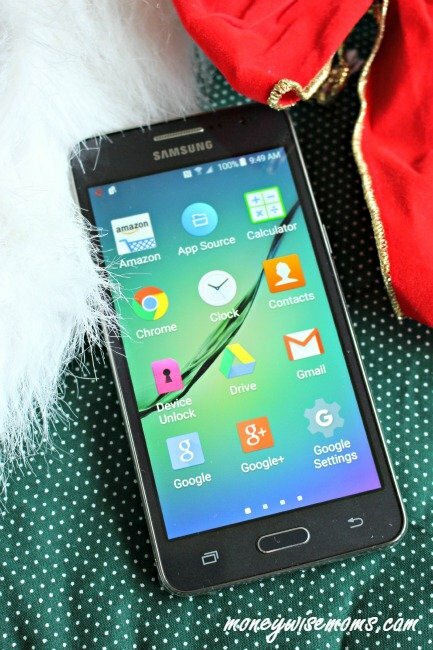 For our son, we chose the Samsung Galaxy Grand Prime for $149 along with the Walmart Family Mobile service for $39.88/month (for the first line). That gives him Unlimited Talk, Text & Data with up to 5GB of 4G LTE data–plenty for playing games and streaming videos on our holiday roadtrip this year, plus he can keep up with friends while we’re out of town visiting family. This data increase is an amazing value for the price, which makes it great for anyone–not just a tween getting his first phone. I have time between now and Christmas morning to figure out what parental controls to set up and load some apps so he’ll be ready to go when he opens it. If you’re looking to share #TheGiftofData with your family this holiday season, head to the phone department in your local Walmart. 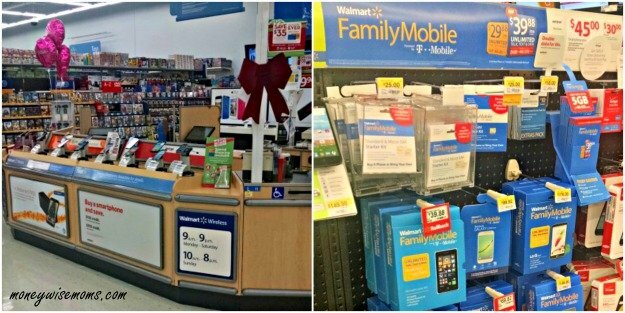 That’s where I found the Walmart Family Mobile display to pick up a phone and starter kit. 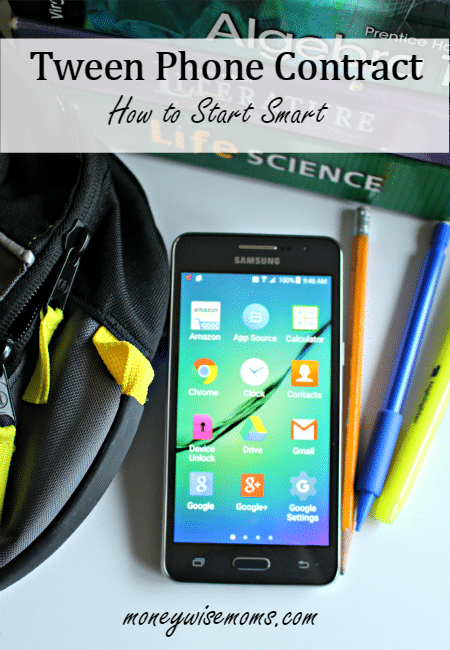 Learn more at the Walmart Family Mobile Tumblr page. 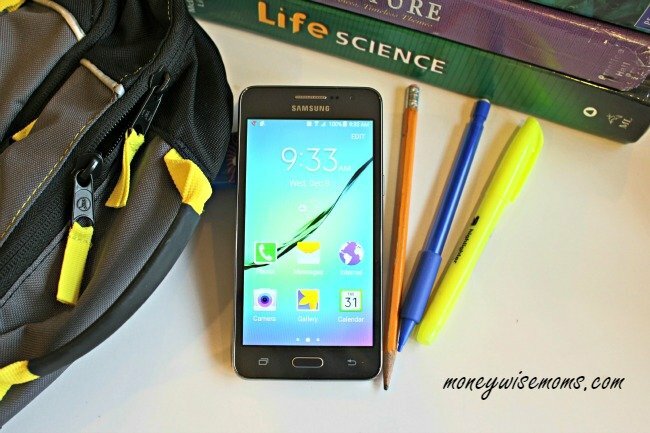 What are some of the cell phone rules in your house? Disclaimer: All prices for phones and plans included in this post are accurate as of the date of posting; however, these prices are subject to change. Please refer to http://cbi.as/186mm or your local Walmart for current pricing.